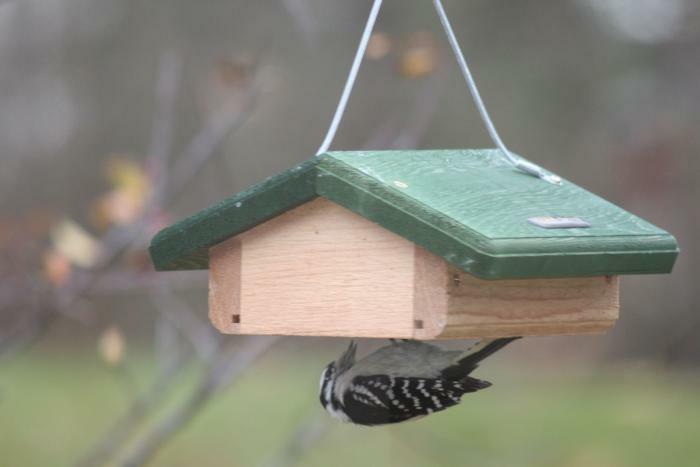 • Holds 1 suet cake. Love it! Have a Downy pair close by which has found it. And other than a few very determined souls, it discourages all the sparrows. 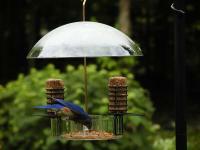 I really like the way the feeder is built and how it looks. I had hoped to keep the starlings from stealing all the suet but they still get to it but it is much harder so they can't steal it as fast! 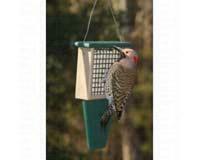 I now have 3 of these feeders and enjoy them, so do my woodpeckers! 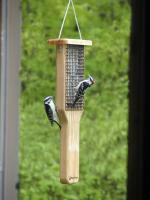 If you have a problem with starlings I recommend this feeder. Also, the rain and snow doesn't get on the suet. 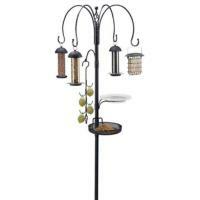 I bought this to keep black birds off my suet and to my amazement they still get on it and feed. I guess no matter what, they will adapt to their surroundings.